During our four time a year Shabbaton weekends our families come together to host a Sabbath meal before heading to services Friday night. To sign up to host or attend Shabbat dinner, please e-mail or call Rosanne Lemansky at lemansky.r@gmail.com or 856-727-1736. If you are hosting, tell us how many guests you would like to have at your home. If you would like to be a guest, please let us know the number of guests in your family. SIGN UP TO HOST OR ATTEND CBT COMMUNITY SHABBAT DINNERS! You are welcome at any or all of our Shabbaton events. 6 pm – Home-Hosted Shabbat dinners- host others or visit congregants’ homes. There is no cost to the guests! 8 pm – Kabbalat Shabbat at CBT- After dinner come to CBT for a fun, and spiritual service. 9:30 am – Shabbat Morning Service at CBT – Adults will join Rabbi Gans for an engaging service. TLC participants will join Morah Sarah and Morah Sharon for Jr. Congregation. 11:30 am- Lunch – Attendees of the adult and children’s services come together for a free lunch. 12 noon – 1 pm – Shiur (Class) – Adult learners will meet with Rabbi Gans. 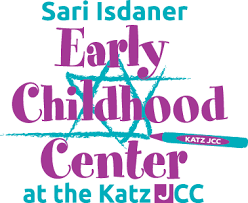 TLC learners will attend an equally engaging class led by Morah Sarah and Morah Sharon. Any questions about hosting or being a guest? Call Rosanne Lemansky at 856-727-1736. Please join us for any or all of our Shabbaton events. Come and enjoy the Shabbat Experience with your CBT Family.